Macomb Community College / Nursing Department (ADN):"Jump start your career as a Registered Nurse in Macomb's Nursing Program. Macomb Community College (MCC) Department of Nursing at the Center Campus offers the Associate Degree Nursing (ADN) curriculum which is a 63.5-64.5 credit hour program that leads to an Associate of Applied Science Degree. The graduates are prepared to provide direct nursing care at an entry staff level in a variety of health care settings. Successful completion of the program requirements qualifies the students to apply to write the National Council licensure Examination for Registered Nurses (NCLEX-RN). Satisfactory achievement on this examination qualifies the graduates for licensure as Registered Nurses (RNs)." Macon State College / Department of Nursing:"Macon State College's Division of Nursing and Health Sciences offers an associate of science degree in nursing that will make you eligible to write the National Council Licensure Examinations.From there, you can advance your career by completing a baccalaureate degree in nursing through Macon State's new RN-to-BSN program. Registered nurses who are graduates of hospital diploma programs may also apply to the RN-to-BSN program." Madison Area Technical College / Nursing Program (ADN):"Accredited by the National League for Nursing Accrediting Commission (61 Broadway, NY, NY 10006, (212) 363-5555, ext. 153 or (800) 669-1656, ext. 153) and approved by the Wisconsin Department of Regulation and licensed by the Board of Nursing, this program prepares practitioners to function with judgment and technical competence while providing nursing care to patients of all ages. Upon completion, students are eligible to write the national exam for licensure as a registered nurse. Emphasis on self-direction and independence. Helpful aptitudes and interests include an interest in people and their welfare; a willingness to follow procedures carefully, understanding that errors may have serious consequences; and an ability to work and communicate with others - to - be precise and exact, work under pressure, and react quickly in an emergency." Madisonville Community College / Nursing Program (NA, LPN, ADN):"At Madisonville Community College, we offer several career options in nursing. The college offers a course for the Medicaid Nurse Aide for the individual seeking to become certified as a state registered nurse aide. The Practical Nursing Program prepares the graduate to become a Licensed Practical Nurse. The Associate Degree Nursing Program prepares the graduate to become a Registered Nurse." Madonna University / College of Nursing & Health (LPN to BSN, RN to BSN, MSN):"To prepare baccalaureate nurses capable of providing competent, caring, professional practice. To prepare master's level nurses who have advanced knowledge in nursing theory, research, and practice and are capable of integrating such advanced preparation into their practice. To prepare students to pursue the achievement of professionalism through personal study, continuing education, community service and the pursuit of graduate studies." Malcolm X College / Nursing Dept:"The Nursing program is a two-year, 69-credit hour program that prepares students to meet the requirements for the Associate in Applied Science degree in Nursing. General education and nursing courses comprise the curriculum. Principles from the natural and social sciences are a continuing thread throughout the curriculum." Malone College / School of Nursing (BSN):"The Malone College Nursing Program consists of two tracks whereby one may earn the bachelor of science in nursing degree (BSN). The Completion Track is for registered nurses (RNs) who have completed either an associate degree program or a diploma program for their basic nursing education. The Basic Track is for all other persons interested in a nursing career. Licensed practical nurses (LPNs) may apply for Advanced Placement in the Basic Track. The Basic Track prepares a nurse generalist who is qualified to complete the National Council Licensure Exam (NCLEX-RN) once the program outcomes are fully met. Both tracks allow the graduates to pursue specialized study in graduate programs leading to the MSN degree and to advanced practice certifications." Manatee Community College / Division of Nursing:"The Associate Degree Nursing Program (ADN) combines course work on campus with guided clinical experiences in health care agencies in both Manatee and Sarasota counties. 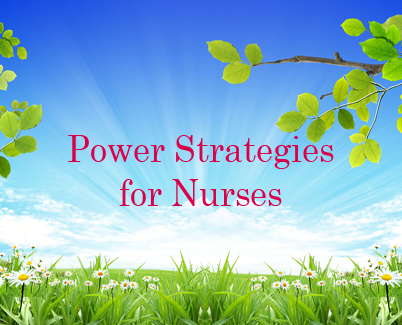 There are two methods for completion of the program, the traditional approach for students who have no previous nursing course work, and the transition approach for Licensed Practical Nurses." Manhattan Area Technical College / Health Occupations (LPN, ADN):"Manhattan Area Technical College offers two separate nursing programs: The first program, Practical Nursing, prepares the graduate to become a Licensed Practical Nurse (LPN). The second program, Associate Degree Nursing, enrolls LPNs who want to continue their education to become Registered Nurses (RN)."